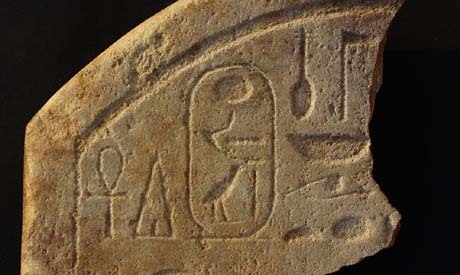 Minister of Antiquities Mamdouh Eldamaty told Ahram Online that studies carried out revealed that the first relief belongs to the Middle Kindom because it bears the cartouche of the seventh king of the 12th Dynasty, King Amenemhat IV, whose reign was characterised by exploration for precious turquoise and amethyst on Punt Island. Meanwhile the second relief, which is in a bad conservation condition, can be dated to the Second Intermediate Period. After restoration, Eldamaty said, more information on the relief would be revealed. Three Roman burials and parts of Berenice Temple's façade were also uncovered as well as a number of blocks of stone engraved with lotus and papyrus flowers, a standing goddess, and Greek texts. These texts, Eldamaty explains, are words of offering to the temple's gods. After analysing satellite footage of the port and its surrounding area, scientists of the Polish mission uncovered the existence of a new archaeological site near the seaport of Berenice containing the of a long and narrow building with three platforms. Until now, said Eldamaty, no one can say for sure what the building was, but that further excavation would reveal more. Berenice Port was established at the beginning of the 3rd century AD by King Ptolemy II who ordered campaigns to the East African coast to capture elephants to be used in battles.